PeopleQuiz - Trivia Quiz - Mama's Family - Crazy 80s Sitcom! 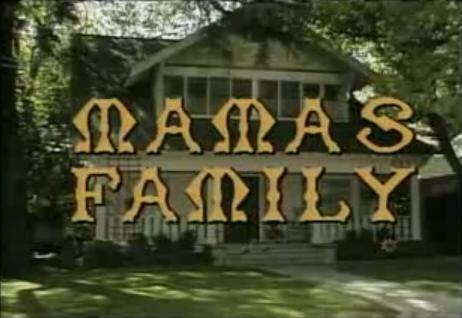 Trivia Quiz - Mama's Family - Crazy 80s Sitcom! Just a few questions about "Mama's Family," a very funny sitcom. Vicki Lawrence was hilarious in this role! 1. On "Mama's Family", what was Thelma's deceased husband's name? 2. What was the name of the tavern in town on "Mama's Family"? 3. On "Mama's Family", how did Aunt Fran die? 4. What was the name of Thelma's neighbor friend On "Mama's Family"? 5. On "Mama's Family", how many times was Naomi married? 6. What was Vinton's first wife's name on "Mama's Family",? 7. On "Mama's Family", where did Vinton work? 8. On "Mama's Family", at what grocery store did Naomi work? 9. On "Mama's Family", Ed and Eunice left to move where? 10. What did Vinton and Naomi name their baby on "Mama's Family",?